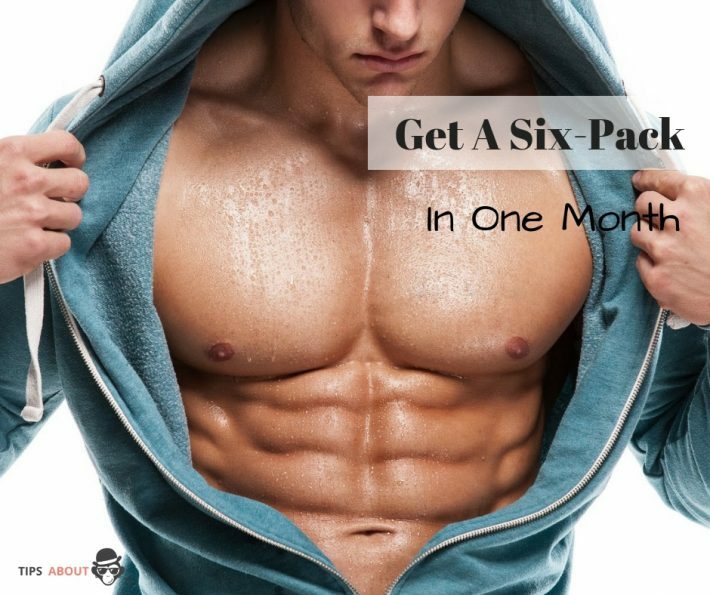 Getting a six-pack might seem as hard as climbing Mount Everest, but with the right exercises, healthy diet, and a bit of determination, you can actually get the six-pack of your dreams in just one month. Number 1 Six-Pack Rule: Create Calorie Deficits!!! Despite all the diet voodoo you read and hear about, losing fat comes down to one tried and true simple fact. You need to burn more calories than you take in. That is how you get rid of fat sitting on your belly and covering up the abs that are living under there. So how do we create calorie deficits? There are basically two schools of thought in the fitness world regarding cardio for fat loss. There are the high intensity cardio folks and the steady state cardio folks. High intensity cardio will get you a faster burn quicker, but it is a lot harder. Steady state cardio will take you longer to burn the same calories, but it is more sustainable. Pick whichever one you want and remember that all that matters is the calories you burn. Just hitting cardio will do nice things for your body. It will lean you up, but it better be combined with weights, otherwise you will be plenty skinny without an ab in sight. When I want to get my stomach ready for taking off my shirt, I never stop hitting the weight room. I just add my cardio on to the time I train. I may lift lighter than usual with less rest in between sets, in order to balance the stress and strain of the added cardio, but I keep lifting, because the more muscle you have, the more fat you burn, as I said above, we are all about burning those calories! I cannot sit here and suggest a specific diet that will work for everyone. Everyone is different and I don’t think diets as a whole work. You have to know your body and know what works for you to lose weight. I personally use intermittent fasting as a means to maintaining a functional eating plan for myself. It has a lot more health benefits than simply weight control. If you eat lots of lean protein, about as many grams as you weigh, eat lots of greens, fruits and veggies, and fill the bit that’s left with some healthy carbs and healthy fats, I’m confident to say that you are on the right track for fat loss and a six-pack. A gallon a day. Drinking water helps you to stave off hunger as well as helps with water retention – a big issue when trying to get that six-pack showing. Get a gallon jug, fill it up in the morning and every time you’re are hungry, jug water before you reach for food. Most of the times we seem hungry it is because we are thirsty, so stay hydrated and you will eat less. I just want to dispel a general myth about weight lifting. You cannot burn fat in particular areas of your body by spot training. More often, you can only build muscle by doing so. Spending 20 minutes a day at the gym doing crunches and planks are not going to burn belly fat. Your time is better spent elsewhere in the gym to maximize results. Most of the diet pills out there are chalked full of ingredients that have never been actually linked to fat loss, or are seriously dangerous when taken in dosages high enough to make a difference. I recommend you skip the diet pills and weight loss magic and just put in the hard work necessary to achieve your six pack goals. 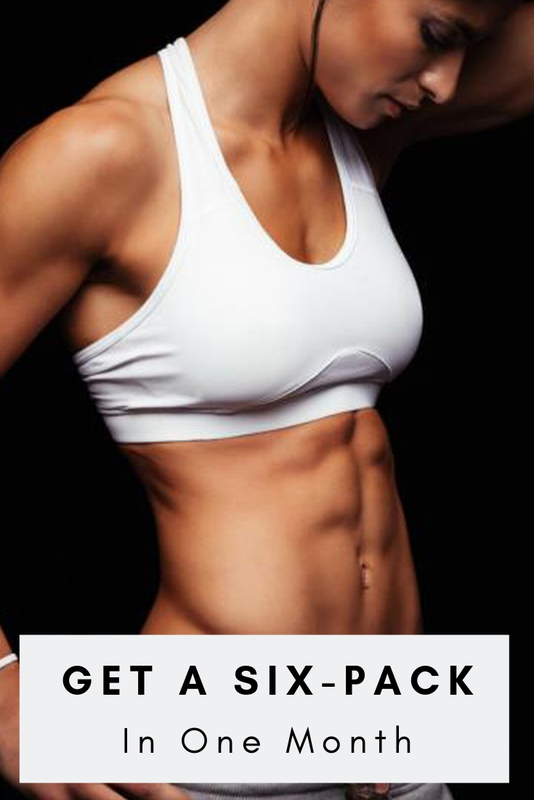 We have addressed some of the simple advice for getting your six pack, it’s time to look at some of the exercises you can do to make you’re abs pop. The key here is not to constantly train abs, as we discussed above about the myth of spot training, but you should be throwing in some ab work at the end of your workouts 3-4 times a week in order to bring them out. Below I list a few of the best exercises that you can fold into any workout. I suggest you pick two of these exercises and hit about 3 sets of 30 reps for each every other workout. Bringing out your six-pack requires hard work, discipline, structure and some physical and mental pain. If anyone tells you any different, they are lying to you. There is no secret, mystical fast track way to make your abs pop. So put in the work, create caloric deficits, exercise regularly with weights and cardio, eat clean and healthy, stay hydrated and skip all the magical promises that are out there. If you do all this, you can get your six-pack showing in a month and you can keep it for as long as you continue to put in the work!